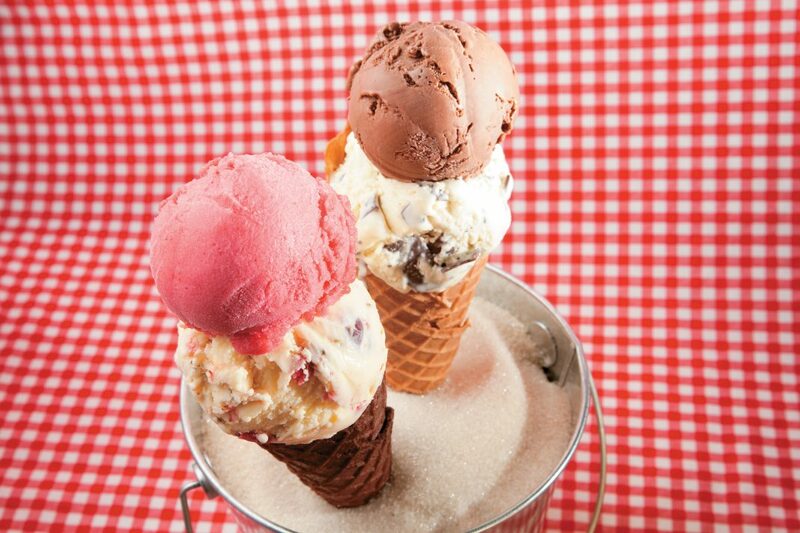 Sweet Rose Creamery is teaming up with Tortoise General Store for an ice cream pop-up this weekend. Momofuku Milk Bar founder, chef, and co-owner Christina Tosi will be at Pot Cafe this Thursday night. Not only will she be signing copies of her new book Milk Bar Life, which includes sweet and savory recipes for all sorts of occasions, but she’ll also be hosting a bake sale. You’ll be able to buy all the Crack Pie, B’Day Truffles, and cookies your heart desires until they sell out, of course. Artisanal L.A.’s Spring Show is upon us. Per usual, the event will feature more than 150 (60 of which are new) local vendors, including chefs, authors, and makers of kitchen-y things. This time around, we’re excited to shop booths by Grist & Toll, Viva Los Cupcakes, and Hepp’s Salt Company. Longtime favorites like Paragon Jams and Maya Brigadeiro will also be on hand. There are plenty of workshops scheduled, so DIY-ers and aspiring DIY-ers can get advice on everything from how to keep backyard chickens to brewing coffee at home like a pro. Artisanal LA takes place April 25-26 at The Reef, 1933 S. Broadway, Downtown; tickets ($12 for one-day pass, $15 for two-day pass) can be purchased online. Sweet Rose Creamery has teamed up with Venice’s Tortoise General Store for a series of ice cream pop-ups on the fourth Sunday of every month. The next one is this weekend, and along with the classics, they’re also doing Japanese-inspired flavors, like candied kumquat and green tea. Cold beverages, bottles of almond milk, and coffee drinks from Japanese roaster Arata Doyashiki will also be available. And if you’re a fan, you should know that Sweet Rose is turning 5 years old next month and will start hosting kitchen tours the second Saturday of every month, allowing patrons to see how the ice cream is made from start to finish. A complimentary frozen treat is part of the experience. Sweet Rose Creamery Pop-Up at Tortoise General Store takes place April 26 from 1 p.m. to 5 p.m. at 1208 Abbot Kinney Blvd., Venice. Reservations for the kitchen tours can be made by email: catering@sweetrosecreamery.com. Previous articleShyp Shyp Hooray! The Uber for Shipping Stuff is Now Beta Testing in L.A.